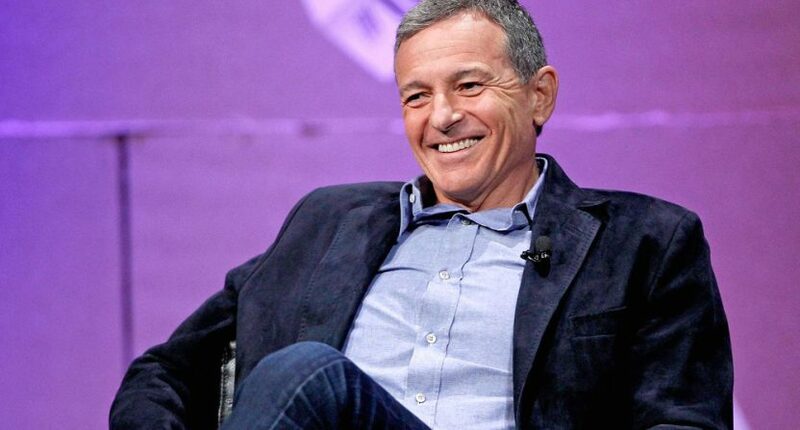 Bob Iger says he and Jimmy Pitaro thought ESPN coverage "swung a little bit too far away from the field"
You’ve had shake-ups at the various businesses this past year. How has ESPN changed specifically, if at all? But Iger’s pendulum analogy here isn’t a bad one. There is a balance of how much societal or political content should be worked in to straight-up sports talk, some did feel it was too much (even if at its peak, it was still a small fraction of everything ESPN was doing), and they appear to be doing less on that front now without completely eliminating it. Maybe it’s swinging the society/politics balance from five percent down to three percent (we don’t have actual numbers, obviously, but it would be interesting to calculate the total tonnage of comments on anything “away from the field” on ESPN and how that fits in with the massive numbers of comments on things on the field), and maybe Iger and Pitaro’s quest for “some balance” isn’t the wrong approach. And maybe that will help avoid some of the self-inflicted politics disasters, such as the comments ahead of “Get Up” that led to people completely misunderstanding the show, and couldn’t be corrected despite all the efforts to do so. With any balance, though, there’s a chance of overcorrecting and pushing it too far the other way, and where that would become a real issue is if ESPN gives in too far to the “stick to sports” crowd and becomes hesitant to address major sports stories with off-field elements. And this is where Iger is smart to keep his comments measured; this is a less dramatic comment than something like Sportsnet’s Scott Moore’s infamous quote to AA back in 2014 about how their hockey coverage would change from TSN’s. And this isn’t a clear indication that all of a sudden, ESPN’s going to focus on only talking about players’ statistics and ignore big off-the-field stories; in fact, their smart handling of the Mavericks’ sexual harassment saga this week was a good point in favor of the network’s journalism, even when it comes to covering a business partner like the NBA. And yes, when it comes to political and societal issues in sports, it’s probably better to touch on them when that arises naturally instead of forcing it, and there’s nothing here to indicate that ESPN won’t continue to do that. But at the same time, while quotes like these from Iger aren’t necessarily explosive or problematic in their own right, they’re something that should be very much kept in mind while watching and analyzing ESPN. And if the network does swing too far and does start downplaying or ignoring off-the-field stories, especially those with societal or political connections, they should be criticized for that. This isn’t a clear indication that will happen, but it is a sign of ESPN’s current thinking. Maybe that will find the correct balance and reduce the criticism they get, or maybe it won’t. But it’s certainly useful to have Iger on the record about it (especially considering that he cited this as a specific example of changes at ESPN without being directly asked about it), and this is a quote worth remembering if problematic coverage changes do show up.